HomeNewsWhich Chamber to Install? Let our Experts Guide You. Which Chamber to Install? Let our Experts Guide You. 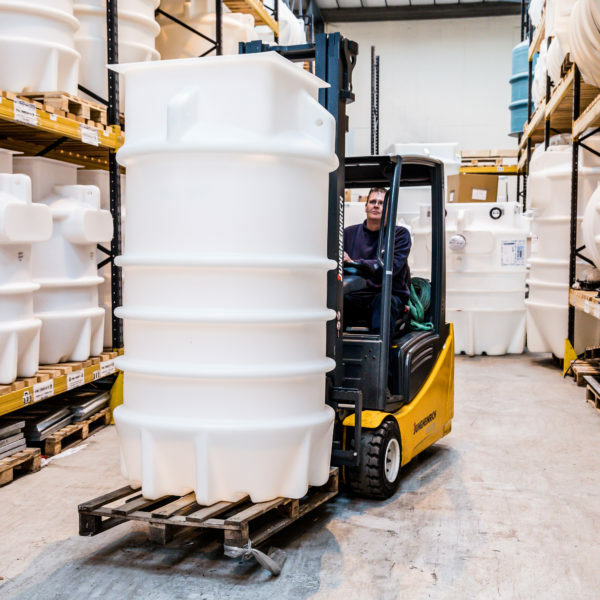 Our own MagnaPro range offers 40 different sizes of rotationally moulded polyethylene tanks. We use a tank-grade plastic and all chambers are tested for hydrostatic pressure and lifting loadings. Moulding our own chamberes with our unique design allows us to offer competitive pricing as well as a large stock holding to help us deliver solutions on time and in budget. The chambers are sized from 200 litres (650mm diameter by 1000mm deep) to 16,000 litres (2400mm diameter by 4000mm deep) with many increments in between. With the various pump, pipe work and controls configurations, there are tens of thousands of combinations within the MagnaPro range. As all equipment is built in-house by our experienced production staff, quality control is key and we strive to provide a product that can be relied upon. We also deliver the MagnaPro range using our own fleet completing a turnkey service from design to delivery. Some sites require vast storage capacities, or have particularly deep drainage, so even the largest MagnaPro tank may not be suitable. At this point we can offer a bespoke GRP chamber. With these chambers we provide diameters up to 4000mm and depths up to 7000mm, as well as horizontal chambers up to 15000mm long. Using the same vast array of pumps and controls, the MagnaGrand compliments the MagnaPro range ensuring no job is too big. Using GRP has a number of benefits. All chambers are fully bespoke and built to site requirements, offering ultimate flexibility to the customer. Access openings, neck extensions and pump sumps can all be modified to fit the needs of the most demanding site. It is not unusual for contractors to opt away from a holding chamber at all and simply install their pumping equipment within a concrete sump. In this instance Edincare can assist with the design and layout of the sump, deliver the equipment required to site, then install the equipment directly. This can save the contractor money on the price of a holding chamber or be useful where access prevents the installation of a prefabricated chamber. Any concrete pump sump should be formed in waterproof concrete, and any sump managing foul waste within a building should use an appropriate liner or sealing system to prevent leaching of waste through the sump walls. Edincare Engineers can attend site at initial install of studwork and fixings before leaving the chamber to be fully waterproofed by another contractor. Once complete we can install equipment into the treated sump without further drilling into the concrete base or walls. With all these options, we are confident that we can meet your package pumping station needs with one of these methods. Call us on 01442 211554 to find out more.